We all know Twitter is a great way to keep yourself updated with whats currently going on in the world, but did you know it can also be a great recruiting tool? Using Twitter as a recruiting tool contains a lot of benefits including: a huge user database of relevant and engaged professionals, the use of hashtags and keywords makes hunting down specific topics a lot easier and quicker, you can also isolate specific users into various talent pools which in turn makes searching for talent faster and more efficient. 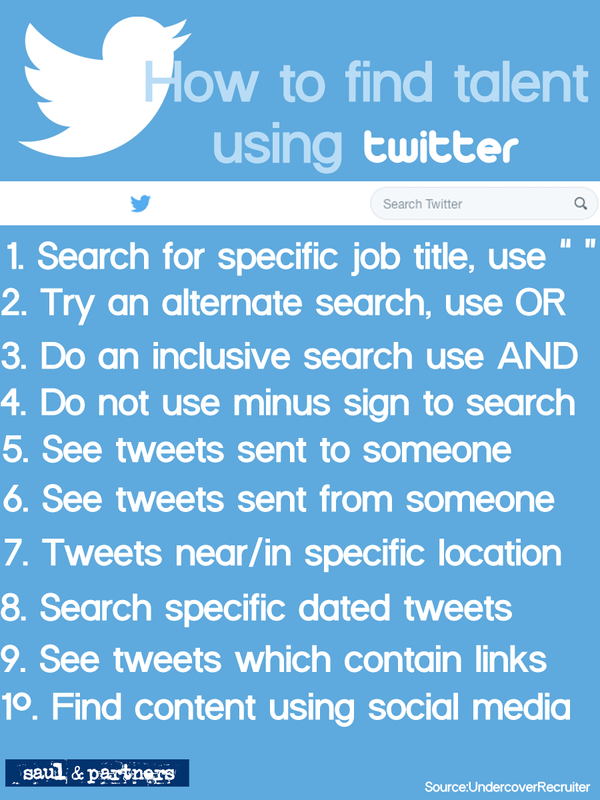 Just as recruiters can use Twitter as a tool to find hidden talents, you also need to make yourself find-able. Reverse engineer the below model to ensure you’re the talent that needs to be found.